Ta da! It's not really hard to guess where we were on a sunny Spring day in Sydney based on the picture above. 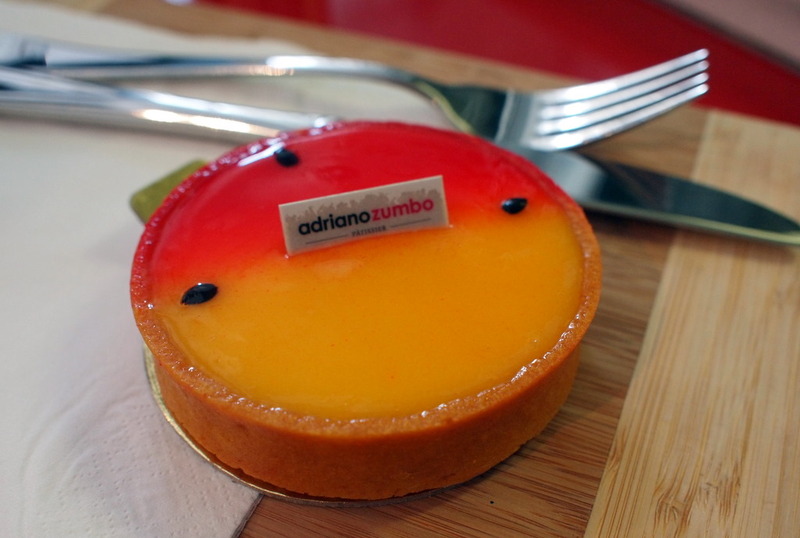 I was absolutely adamant that a trip to Adriano Zumbo Cafe was made on the recent trip to Sydney after watching his DVD. Strange as it may be, I've barely watched any MasterChef, and indeed have only heard about his macaron cakes and crazy leaning towers. No matter though, I'd rather taste the product than watch it on television. As is the trouble with any event that you look forward to, the hardest decision is always where to start. With a huge selection of cakes, pastries, cakes and 'Zumborons', we had first order coffee before our brains even kicked into gear in order to make a logical decision. One of the nice things about this cafe is that it really does seem local with a constant stream of customers coming in to buy some bread, with an order of a pastry or macaron, and a coffee on the side. (The coffee wasn't great, but I've resigned myself to the fact that Sydney coffee just isn't as good as Melbourne). The other is that you can watch the dessert-making process. Unluckily for us, it seemed that the day's work was done. I'd guess that mornings are typically busier, and if you're lucky, you might even see the man himself creating away. tarte aux fruits de la passion. Look at those beautiful colours! Fancy and rich, but not too sweet. I love the tartness of passionfruit, and the summery vibe suited the sunny day outside. Utterly delectable, and relatively affordable at only $6. 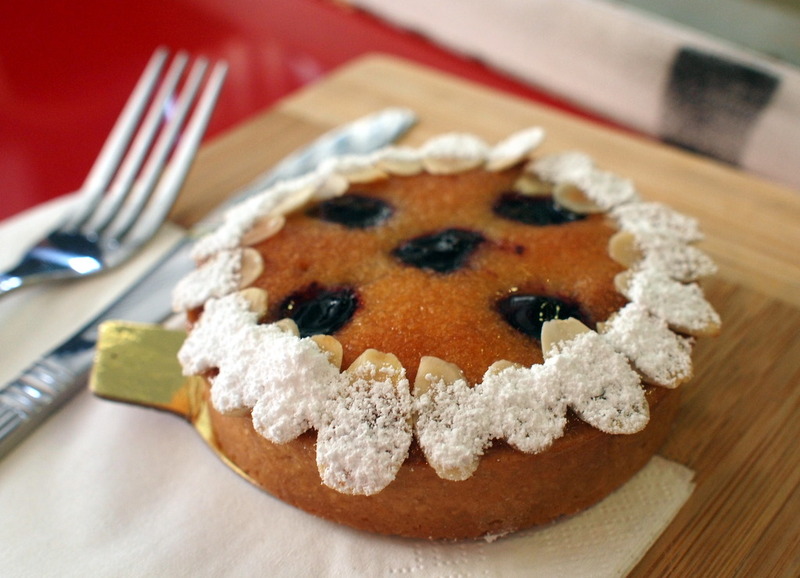 The boy went for an almond berry tart. Not quite as pretty as mine, but definitely well made. It certainly wasn't as sweet or rich, but the nutty flavour of the almonds was definitely satisfying. Of course, no trip to Zumbo's would be complete without trying his famous macarons, so we had a couple (or perhaps a few more) to share. Some aren't pictured because we ate them before I remembered to bring my camera out. My favourite of the bunch was definitely the mojito. I doubt that it's alcoholic (I'm sure that would just mess with the baking chemistry too much) but the clean taste was spot on. 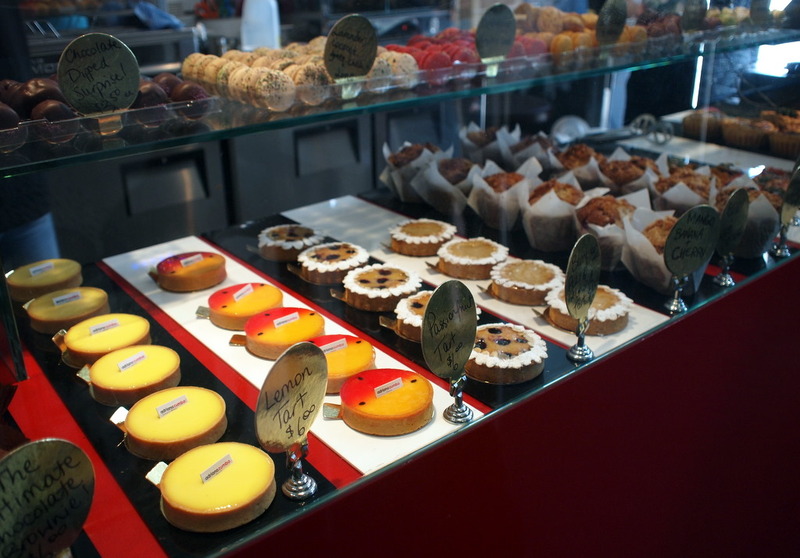 Even though we'd had quite a number of desserts, an extra trip was made to the Adriano Zumbo Patisserie just up the road where an even greater selection of cakes awaited. We restrained ourselves however, but only barely. 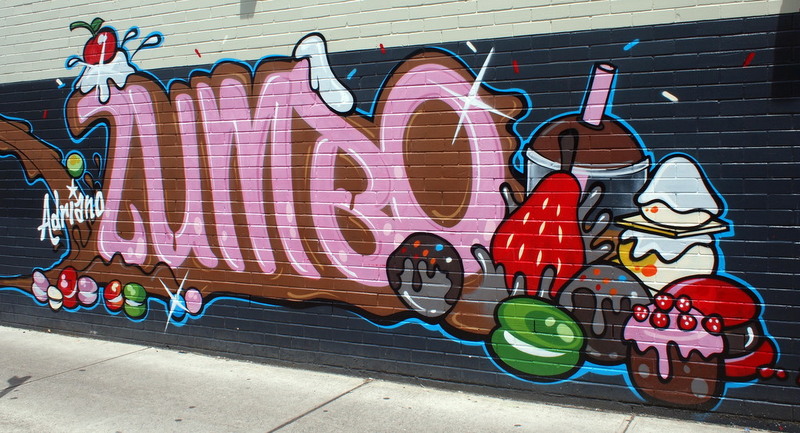 It's simultaneously a fortunate and an unfortunately circumstance that Zumbo hasn't opened up a cafe in Melbourne yet. Wowzer! First of all, I heart the wall art there- pretty damn cool. Yes, the queue is so worth it. Agreed!!! The man definitely has an awesome childish enthusiasm! Mmm, it was a toss-up between the passionfruit and the lemon tart. I've got to try the latter next time! I wonder if Melbourne has anything like Zumbo's. Burch and Purchese perhaps? I really hope that he would open a cafe in Melbourne! Awesome treats he has created..
Gloriously inventive and decadent! I want to try them all!